The tradition of ringing bells at weddings could be traced all over in history. Church bells were through to get rid of evil spirits and to grant wishes. They were used to announce weddings and also at the end to bless the newlyweds of a happy life together. Wedding bells are two bells strung together by a ribbon symbolizing two souls joined together through marriage. The practice of ringing bells at weddings is still used today to celebrate and wish blessings upon newly married couples. 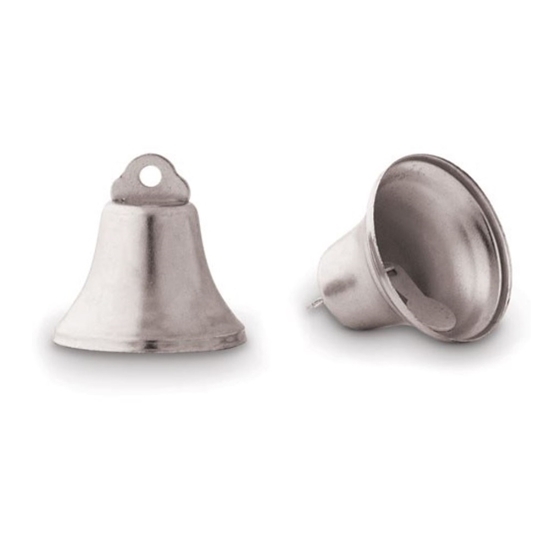 These small silver wedding bells are a must have for all the guests to ring, showering the couple with many blessings. A wonderful way to start and end a marriage ceremony.